Nearly everyone who's opened Google Earth in the last decade does the same thing first: they search for their home. Home is how we orient ourselves—it's where we start from. This might mean a one-story craftsman in a Wisconsin suburb. Or a house made of reeds on a floating village in Peru. Then we zoom out. We see our neighborhood, then our city, our province, our country, our continent, and eventually: our blue marble. Out in space, our planet looks impossibly small. But improbably, it’s home to all of us. 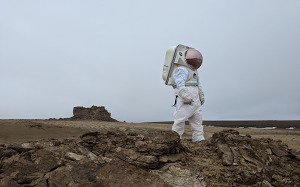 On the eve of Earth Day, I'm reminded of something I've learned watching people use Google Earth over the years: Home is not just how we understand our place in the world—it’s a means to connect to something bigger than ourselves. 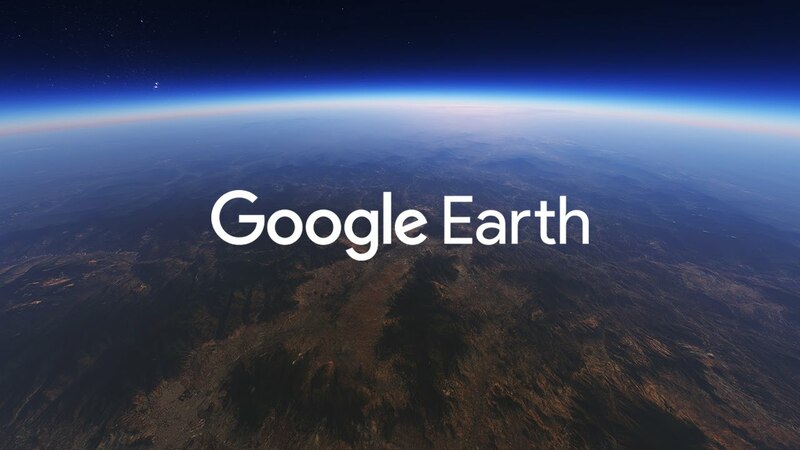 Today we’re introducing a brand-new version of Google Earth—on the web and Android—two years in the making. With the new Earth, we want to open up different lenses for you to see the world and learn a bit about how it all fits together; to open your mind with new stories while giving you a new perspective on the locations and experiences you cherish. 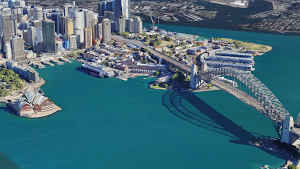 It’s everything you love about Google Earth, plus new ways for you to explore, learn and share. 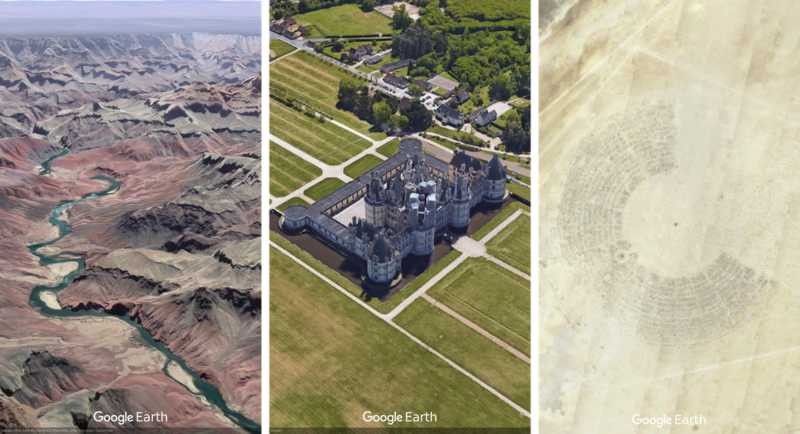 Zoom in and see what adventures await you in the new Google Earth. Start with Natural Treasures from BBC Earth, and journey to six habitats—from islands to mountains to jungles—and learn about the unique and thrilling wildlife in each. Then head to Gombe National Park in Tanzania and hear from Jane Goodall about her team’s chimpanzee research and conservation efforts. And make a stop in Mexico with Lola, one of 12 little monsters featured in Sesame Street's Girl Muppets Around the World, and learn about modern Mayan cultures. With more than 50 immersive stories in Voyager, and more added weekly, there are lots of adventures to choose from. Uncover hidden gems the world over with “I’m feeling lucky,” a new feature that takes you somewhere unexpected with the click of a button. You might discover the lush green Pemba Island off the Swahili coast, the historic La Scala opera house in Milan, Italy or the Zao Hot Spring in Yamagata, Japan. We’ve curated 20,000 different places, so roll the dice and see where the world takes you. Uncover hidden gems like Ciudad de las Artes y Las Ciencias in Valencia, Spain. Once you’ve landed on a point of interest, open a Knowledge Card to learn history and facts about that place and see more pictures of it. To add a dash of serendipity to your travels, flip through the stack of cards and discover related places. You might find yourself in Valencia, Spain and stumble on the beautiful Ciudad de las Artes y Las Ciencias. 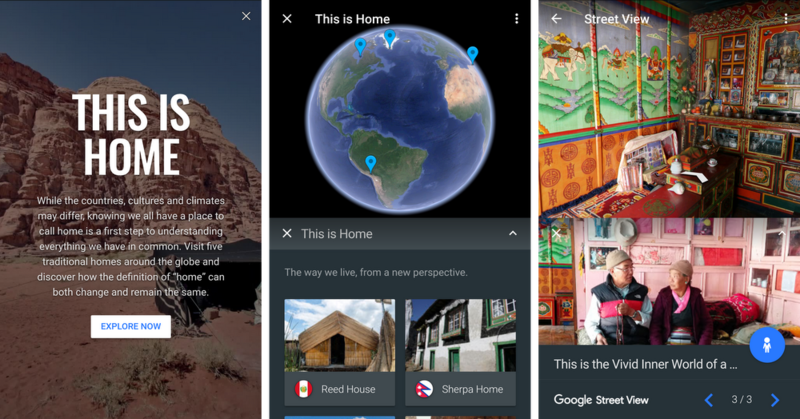 We hope that after visiting your house in the new Google Earth, you'll be inspired to see someone else’s. Get started with a special Voyager story called This is Home, a journey into traditional homes from cultures around the world. You’re invited to step inside a Peruvian chuclla, a Bedouin tent and a Greenlandic IIoq, and meet the people who live there. Check back to visit more homes in the coming months. 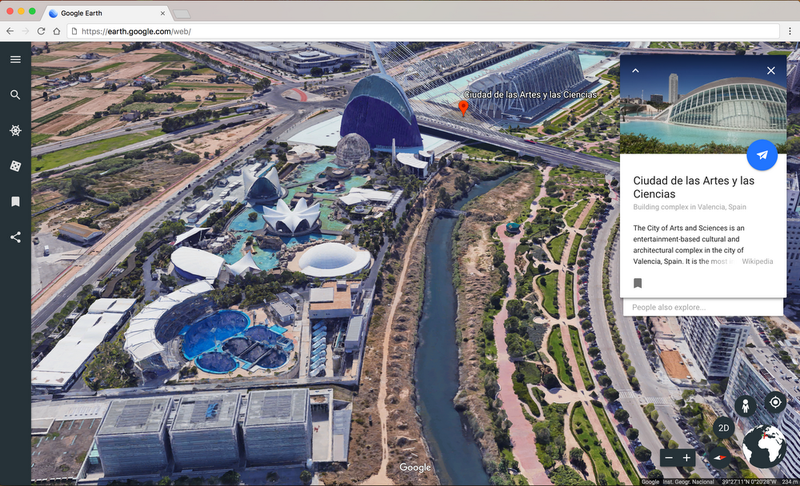 Get the new Google Earth now on the web in Chrome; on Android as it rolls out this week; and on iOS and other browsers in the near future. (Of course, you can still access and download Google Earth 7 for desktop.) Hold it in your hand, pass it around a classroom, fly around the world and walk inside places thousands of miles away in incredible detail. Feel free to lose yourself a little—with Google Earth you can always find your way back home.